Last week, several members of the z2 team attended VISIT Milwaukee’s Milwaukee Marketing Summit at Potawatomi Hotel & Casino. The team was re-inspired by local speakers on topics such as marketing in Milwaukee and marketing Milwaukee as a city. The summit was a good reminder that, when marketing for clients in Brew City, we have to take into account public perceptions and try to change those that are negative, enhance those that are positive and market to what our target audience is looking for. We also got a sneak peek into plans for the future of Milwaukee and are very excited for what is to come. Here are some of our key takeaways from the event. 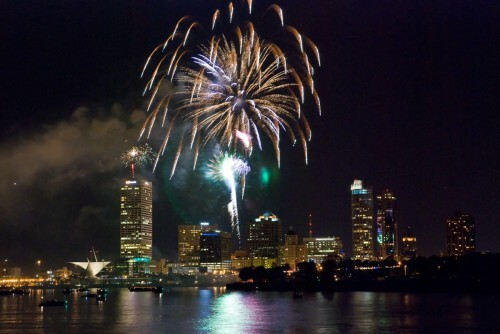 Overall, outsiders and locals alike see Milwaukee as a vibrant, fun place. According to targeted market research by VISIT Milwaukee, most people feel that it’s easy to get around in the city. They also find many fun things to do downtown. 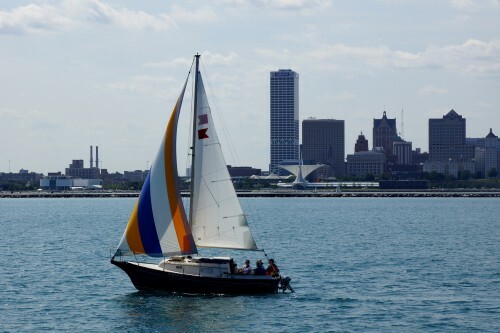 Families find that Milwaukee is typically a good value and that there are plenty of family-friendly activities available. Millennials tend to feel more favorably towards Milwaukee than the older generation, citing trendy arts, culture, parks and restaurants as main reasons. Many people, however, would like to see an improvement in public transportation and cleanliness of the city. At the summit, we learned that many improvements in these areas are already underway. Additional roadways and streetcars will be a welcome addition to the city in years to come. Additionally, VISIT Milwaukee has several Downtown Focus groups dedicated to things like landscape and beautification, cleaning the city, public service and economic development. The Milwaukee Lakefront Gateway Project should also help combat some of these issues. The project will improve pedestrian access from Downtown to the Lakefront, reduce downtown traffic and incorporate a beautiful public plaza. Milwaukee is not only a national destination, but also an international destination among business and leisure travelers alike. Among the cities with the highest traffic coming to VISIT Milwaukee’s website are San Francisco, New York City, Minneapolis, Los Angeles and St. Louis. Internationally, countries that have some of the most emerging travelers to the U.S. are China and India. In 2014, the U.S. welcomed 75 million international arrivals. Those who visited from other countries typically take 10 days, visit four to five different cities, and spend roughly $4,000 per visitor, per visit. There is a lot of opportunity for Milwaukee there, not only as a side step from Chicago, but as a destination on its own. When visiting the U.S., many travelers are looking for things that they cannot find in their own countries. With picturesque lake access, a plethora of restaurants and bars, amazing architecture and world-class performingg arts (not to mention cheese curds and beer), Milwaukee is a city rich with culture. People are often surprised when they visit Milwaukee. There have been countless travel articles about how Milwaukee is underrated, a hidden surprise, an unexpected pleasure. 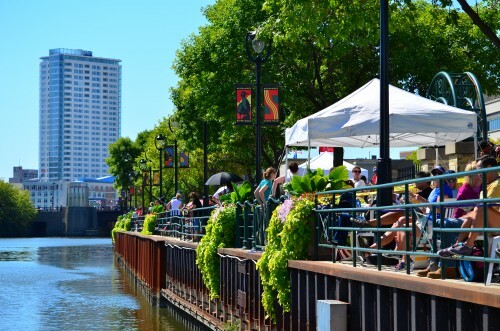 Little to most outsiders know, Milwaukee has over 130 miles of bike trails, more than 150 restaurants just downtown, is home to more than 30 seasonal festivals, has 25 museums, 30 theaters, 15 golf courses and 12 major colleges/universities. 51.5% of the downtown workforce is female, and Milwaukee has been named the 2nd best city for manufacturing jobs in the U.S. With seven Fortune 500 headquarters and 11 Fortune 501-1000 headquarters, Milwaukee is growing and blossoming more and more every day. The summit was a great way to become re-inspired about the city that we love and call home.